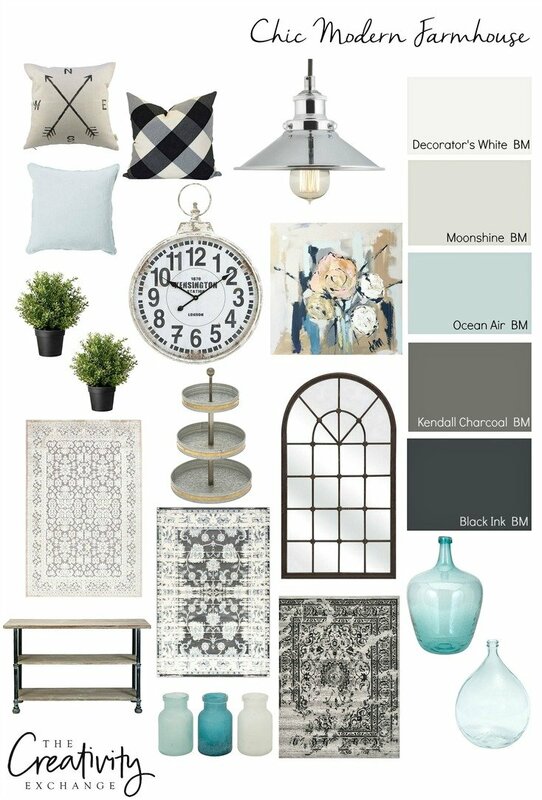 I had several requests after the last Moody Monday feature a couple weeks ago to pull together a coastal inspiration board with lots of paint color options and layering inspiration. The ironic thing here is that I happen to be in the middle of revamping our beach home on Galveston Island. So the timing is perfect! I was already pulling together color/design inspiration for my own project. 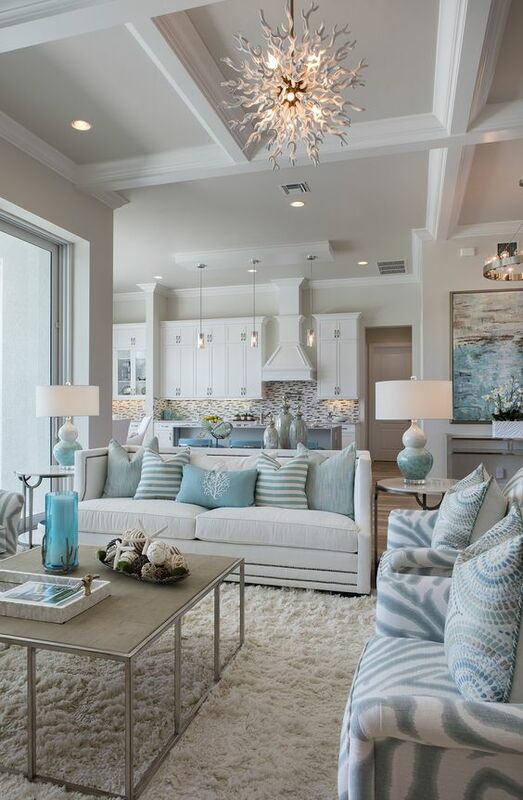 When it comes to coastal design, you’ll find me in the transitional middle. 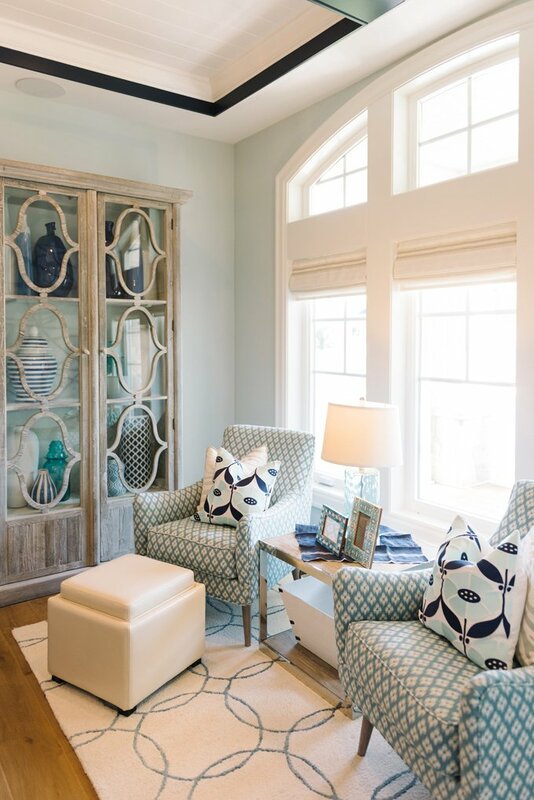 While I love coastal influenced interiors, I’m really drawn to a little bit more muted and serene coastal color palette, where pretty much any style can work layered in. 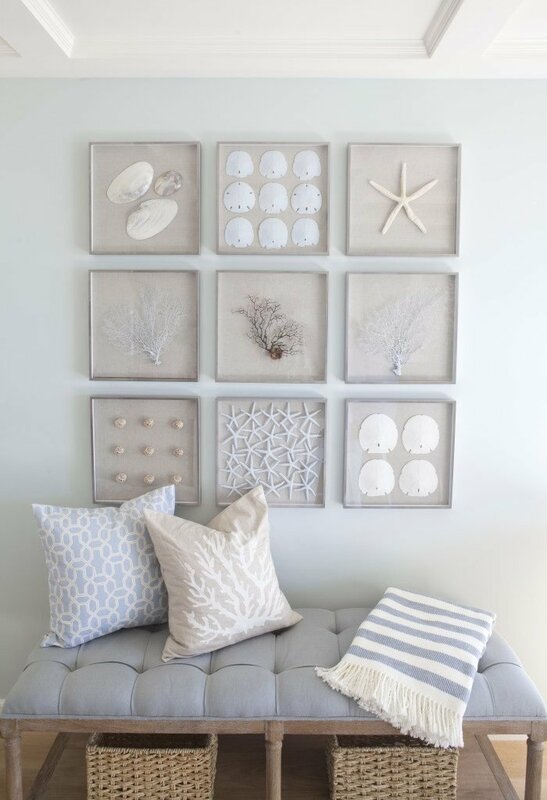 I especially love calm coastal spaces with very light (or white) neutral walls, where the textures, fabric and art is the star of the show. I don’t know about you guys but rugs for me is the first place I always start when it comes to layering a space. Even before I finalize my wall color. For me, a rug sets the color palette for the whole room and I always work from the rug up as I layer a room. 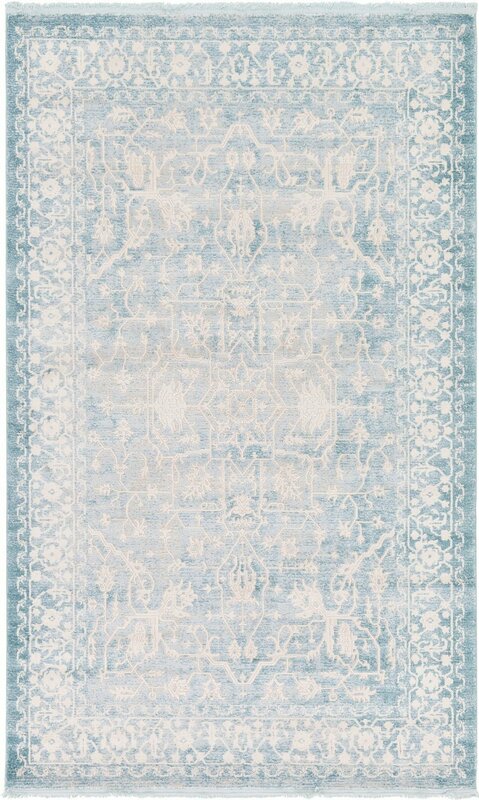 Rugs are also the hardest for me to find, so once I find a rug I love, I’m good to go! I have found so many gorgeous rugs that I’m considering for our beach revamp project and I’m having a very hard time deciding which ones to choose. I did get really lucky and I found this beautiful teal rug a couple weeks ago at our local Homegoods. It’s perfect in our master bedroom with our new dark floors and aqua bench. I’ll be sharing a lot more of our beach home revamp project in the next couple of months as I get this space pulled together. I need several rugs throughout our beach home because we just had beautiful vinyl planks installed that look like dark ebony wood. 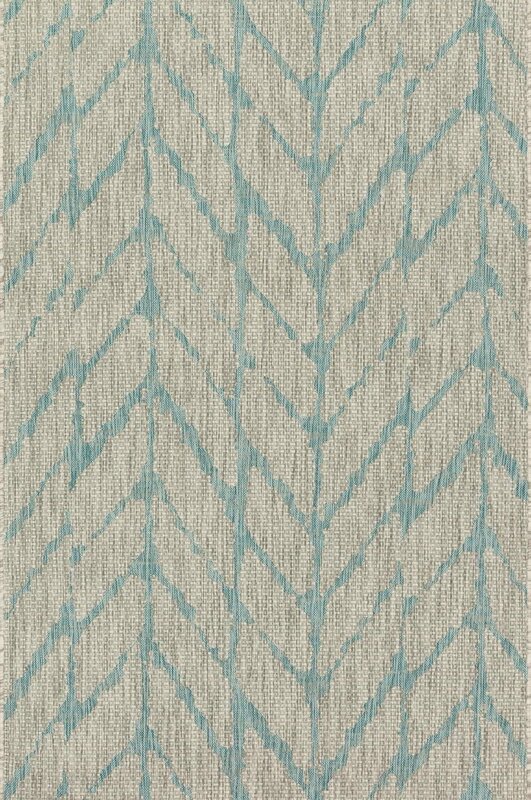 So today, I’m included the rugs I’m considering on the mood board because they are so pretty and really great prices. By the way, they are not necessarily just for coastal design either. They are all versatile enough to work with any style. I’m pretty sure I’m ordering this Anastasia rug directly below for our main living room area. I am so in love with it! For paint colors, I really like all the coastal muted transitional colors because I can do so much more with these versatile colors. This is the color palette that I’m using for our revamp project. In this palette, I can use a little bit of everything like dark blue, light blue, sea salt and they will all work well together because they are muted colors with gray/blue/green undertones. If you are interested in these colors, you can pick a couple colors or use all of them together. They will all work together beautifully either in accents, furniture colors and even wall colors. 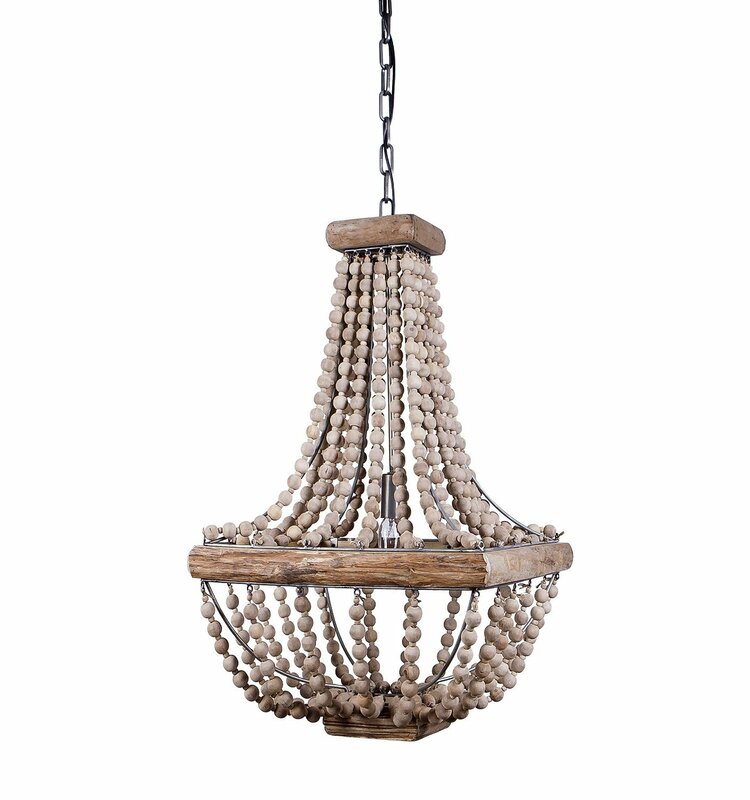 I am obsesses with this wood bead empire chandelier. I just ordered it from Amazon and can’t wait to get it! By the way, please keep the Moody Monday suggestions coming! I’ll do another one in a couple weeks. 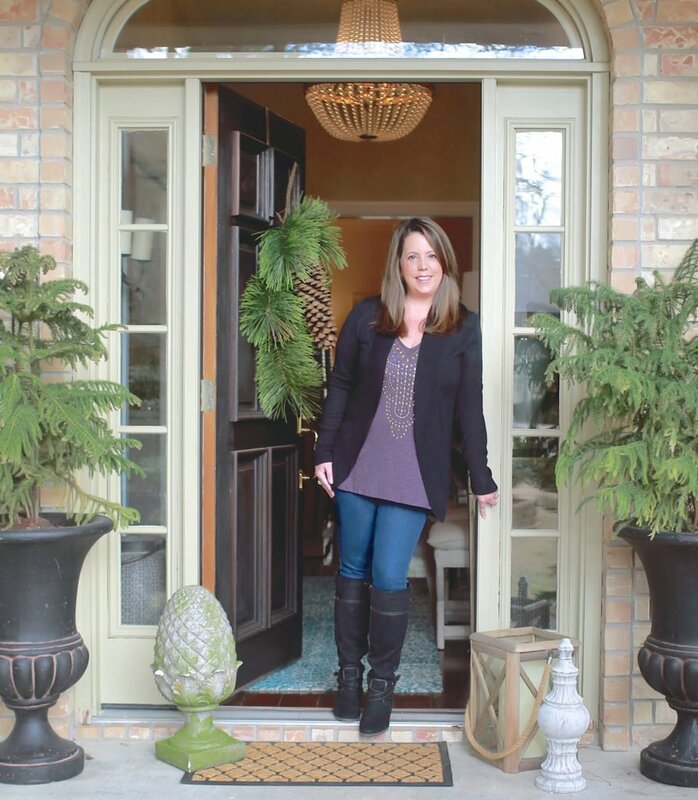 If you want to look at the last one (Chic Modern Farmhouse), you can get to that post by clicking the image below. I love it all! Your place is going to look great. Still working on plans for our remodel, can’t wait until we finish and get to start decorating the inside-but it will be awhile. This Mood Board will be a great reference. Hope we can get together sometime if we are ever in Galv at the same time. 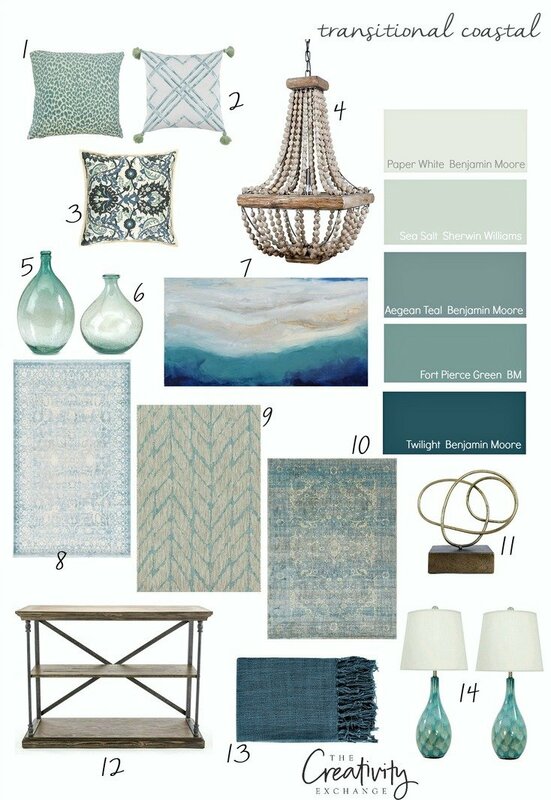 I brought this transitional coastal list of colors to my Benjamin Moore store and have all of the chips. 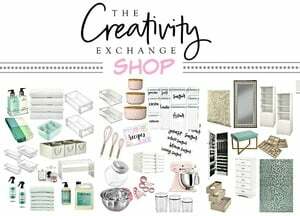 I have been trying to figure out how to update my kitchen without buying new cabinets and counter tops. 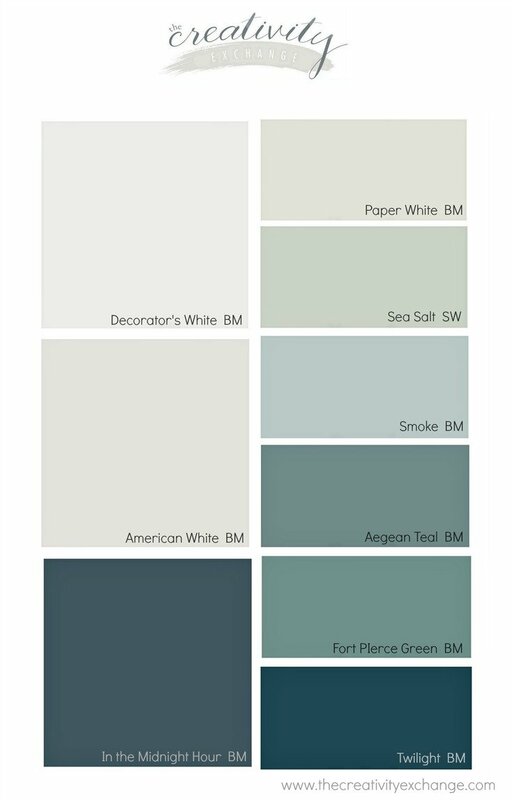 The counter tops are extremely close to the Aegean Teal chip, so this list was awesome help when trying to determine what to paint the cabinets, wall, ceiling and trim. Thanks so much! I love your paint posts. Oh my gosh this is JUST IN TIME!! 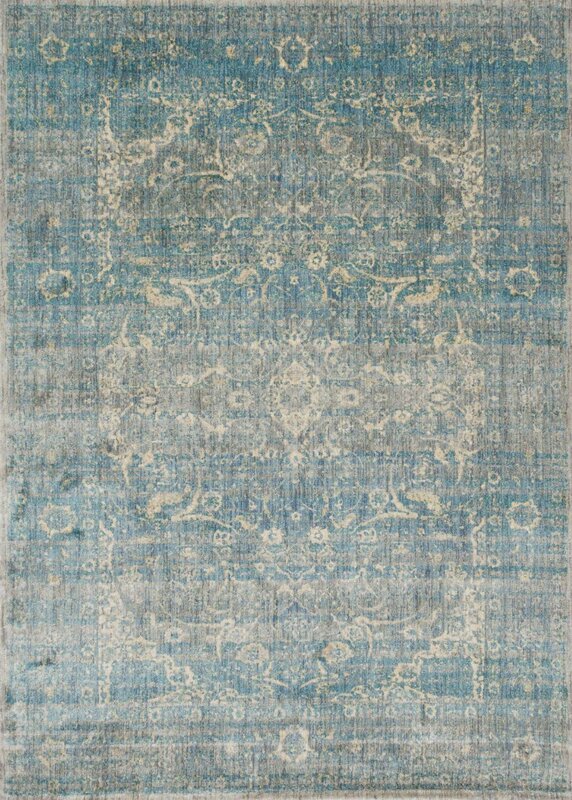 I’ve just finished a whole house remodel of a vacation home in the water and have been struggling with rugs (I too start there) and there it is – the second rug is the one for me and at a GREAT price!!! Thank you so much – this is awesome! 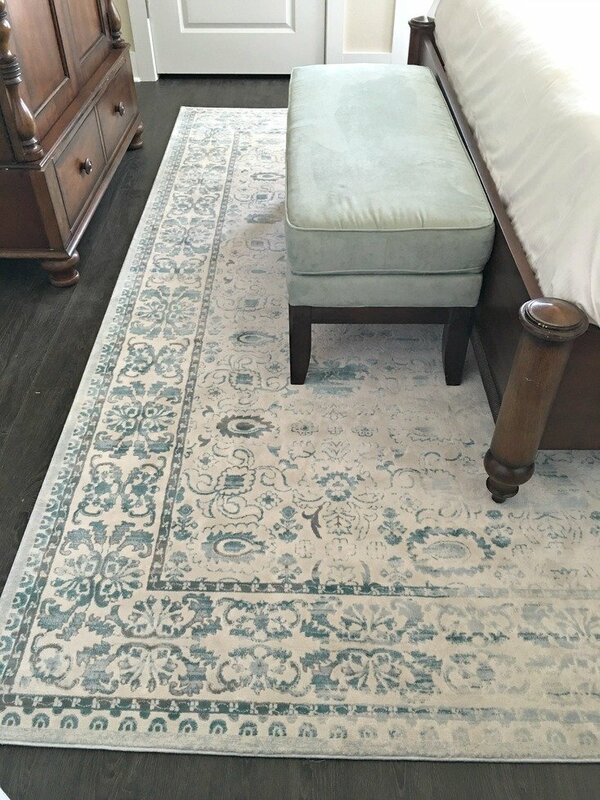 I also just found the Safavieh Cape Cod collection which includes several awesome rugs – going to pick up some of those too! Any idea what the model # and brand is of the rug you found at Homegoods? I have the same color palette in my master bedroom and that rug would go perfect! What color would you recommend on the walls? What is used behind the shells pic? Would sea salt be too much?